Made in the heart of the Bas Armagnac region, the nose has a bouquet of vanilla, soft almond, lactic desserts and pepper. These aromas can also be found in the mouth. The flavours are not in retreat and the alcohol is well integrated in a truly harmonious body. 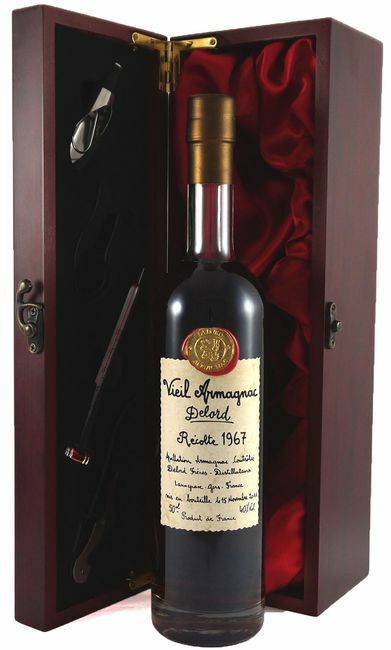 This wonderful armagnac makes an ideal gift for someone born in 1967. An amazing gift.